Keita Ali is on the run. Like every boy on the mountainous island of Zantoroland, running is all Keita’s ever wanted to do. In one of the poorest nations in the world, running means respect. Running means riches—until Keita is targeted for his father’s outspoken political views and discovers he must run for his family’s survival. This is the new underground: a place where tens of thousands of people deemed to be “illegal” live below the radar of the police and government officials. As Keita surfaces from time to time to earn cash prizes by running local road races, he has to assess whether the people he meets are friends or enemies: John Falconer, a gifted student struggling to escape the limits of his AfricTown upbringing; Ivernia Beech, a spirited old woman at risk of being forced into an assisted living facility; Rocco Calder, a recreational marathoner and the immigration minister; Lula DiStefano, self-declared queen of AfricTown and madam of the community’s infamous brothel; and Viola Hill, a reporter who is investigating the lengths to which her government will go to stop illegal immigration. Keita’s very existence in Freedom State is illegal. As he trains in secret, eluding capture, the stakes keep getting higher. Soon, he is running not only for his life, but for his sister’s life, too. Fast moving and compelling, The Illegal casts a satirical eye on people who have turned their backs on undocumented refugees struggling to survive in a nation that does not want them. 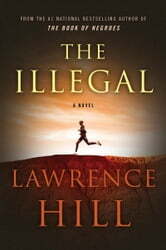 Hill’s depiction of life on the borderlands of society urges us to consider the plight of the unseen and the forgotten who live among us. Well written _ keeps your interest _obvious that a lot of research was done. The characters felt like real people. 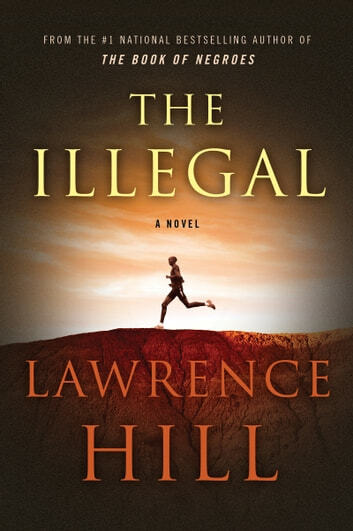 I really enjoyed Hill's latest book. My only critique is that it seemed to end abruptly. I feel like another 100 pages could have been added to the book because there were a lot of things that I'd like to have seen further developed in the book. It kind of left me hanging. I did really enjoy the book though! I had high expectations for this book since I loved Book of Negroes. The subject of immigration and refugees is so topical, so rich in human drama. How could he go wrong? Wooden writing, poor character development, no nuance for any of the characters, coincidences piled up one after another, characters that stretched credulity, an awkward setting in an imaginary country but only 2-3 years into the future but poorly handled (e.g. some everyday things cost thousands of dollars, but the kid still got breakfast for 50 cents). I found myself yelling at the author to tighten up his writing, stop telling me things he had already told us several times previously. Too many flat declarative sentences' e.g. he did this and then he felt thus. And then a scramble at the end to pull together all the coincidences and improbabilities. Although the countries are fictional, the issues are not. You find yourself cheering along with the crowd. In the end, doing the right thing in the wrong way still makes it wrong.